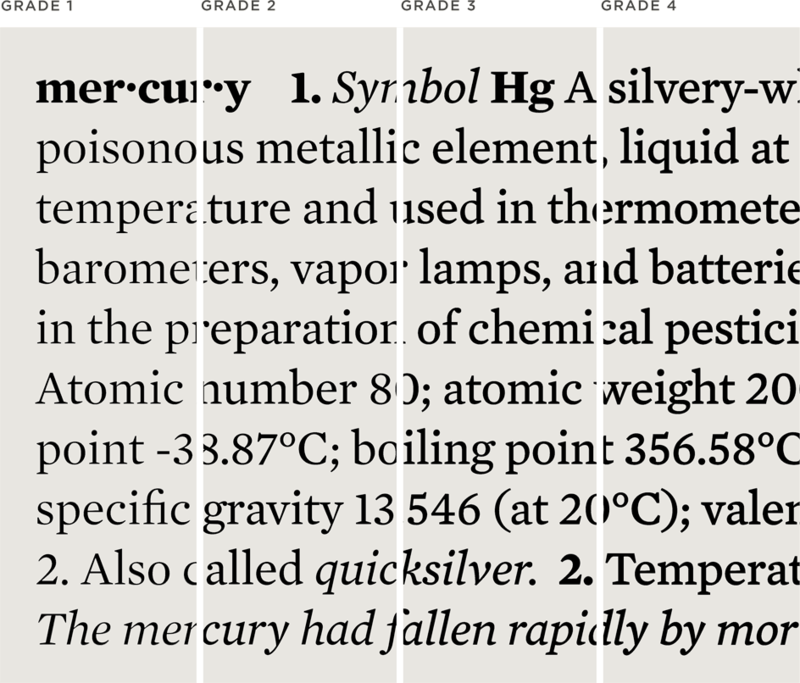 Mercury Text Font Features: Grades | Hoefler & Co. Designed for newspapers, where ink meets paper in unpredictable ways, Mercury Text has been developed in four different “grades” to allow designers total control over their media — whatever that media may be. 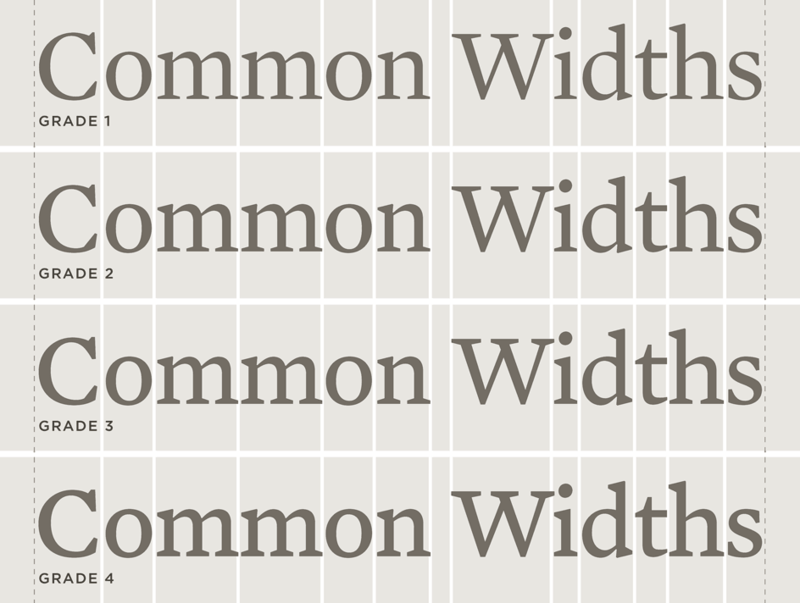 A typeface designed for text needs to account for the paper on which it’s printed. When the New Times newspaper chain asked Hoefler & Co. to develop a family of text faces for its eleven weeklies, they added an interesting twist: presses in Miami behave differently from those in Phoenix, owing to variations not only in stock, but in climate. To help their art departments anticipate what would happen over a range of press conditions, we created Mercury Text in four different grades, versions which are progressively more robust to accommodate different degrees of ink squeeze on press. We designed all four grades of Mercury Text using the same set of character widths, so designers prototyping with one font can switch grades later without affecting copyfit. This ability to swap out fonts not only gives designers real flexibility in responding to press tests, but it allows publications that use Mercury’s different grades to share the same content. And for designers looking to refresh an existing format, Mercury’s grades offer a range of typographic colors to choose from — a perfect way to appease readers (and editors) who are accustomed to the daintiness of Times New Roman, the muscle of Ionic No. 5, or anything in between.